We’ve traveled around the country with our “See the USA” series, exploring the country as we make our way through the alphabet. This week we have arrived at the letter R and Richmond, Virginia. Hopefully, you caught the best of Queen City (Charlotte) and Philadelphia the week before. 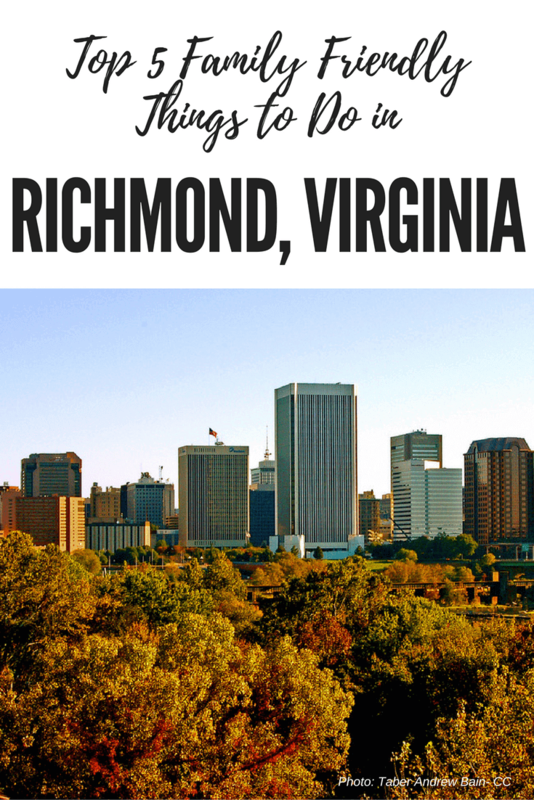 This week I have the amazing Paige from All Over the Map sharing the top 5 family friendly things to do in Richmond, Virginia! Richmond, Virginia has been popping up at the top of lots of lists lately. 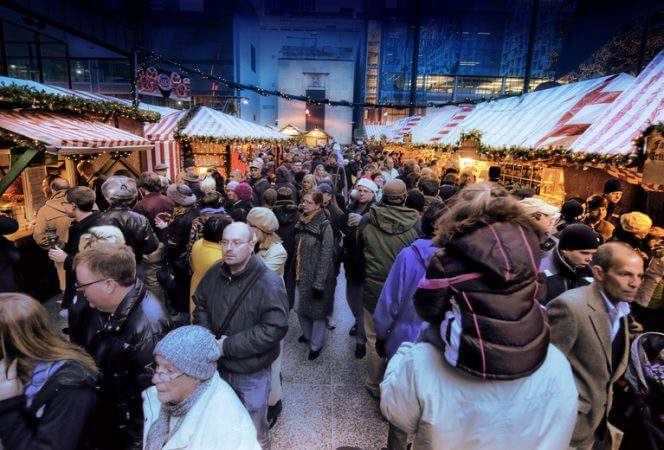 Its growth, thanks in part to the eight Fortune 500 companies that are based there, has fueled an explosion of arts, food, and cultural development that only makes the city a more pleasant place to live and to visit. If you’re visiting with kids, there’s plenty for them to do, too, right alongside things the grownups will enjoy. It is hard to express how magical Maymont is, because half of the fun is discovering all the hidden nooks and special gardens in the sprawling grounds of an 1893 Victorian mansion. While the carefully maintained Italian and Japanese gardens might capture your imagination, there are few things kids love more than the wide open fields and hills for running and playing. 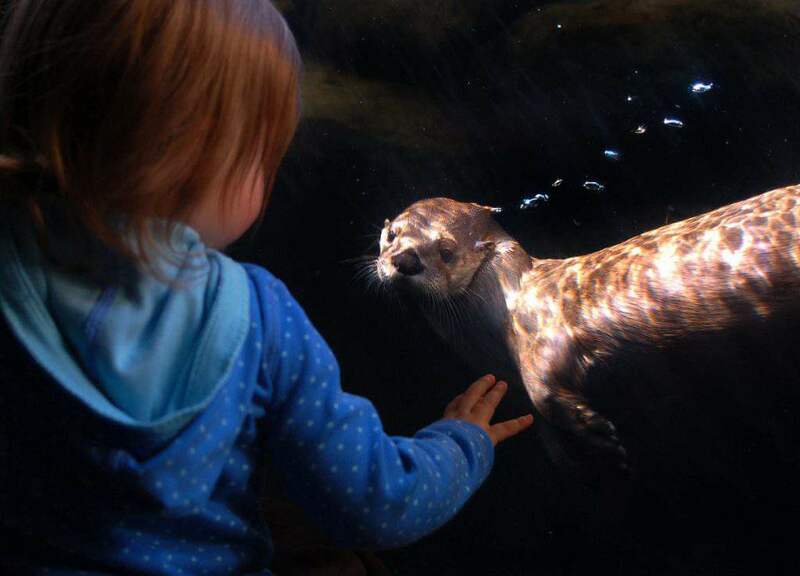 If you need a rest from running, you could spend time watching the river otters frolicking in their indoor aquarium, or venture outside to see more native Virginia wildlife in the 40-acre valley behind the main estate. 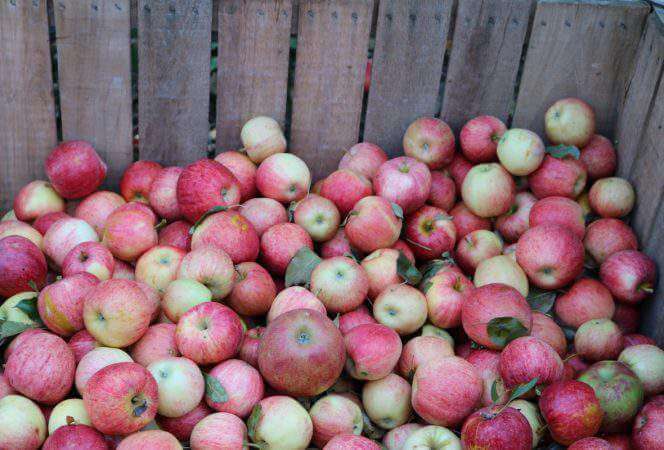 There is also a Children’s Farm, where you can purchase feed to give the animals. Remember to bring quarters! 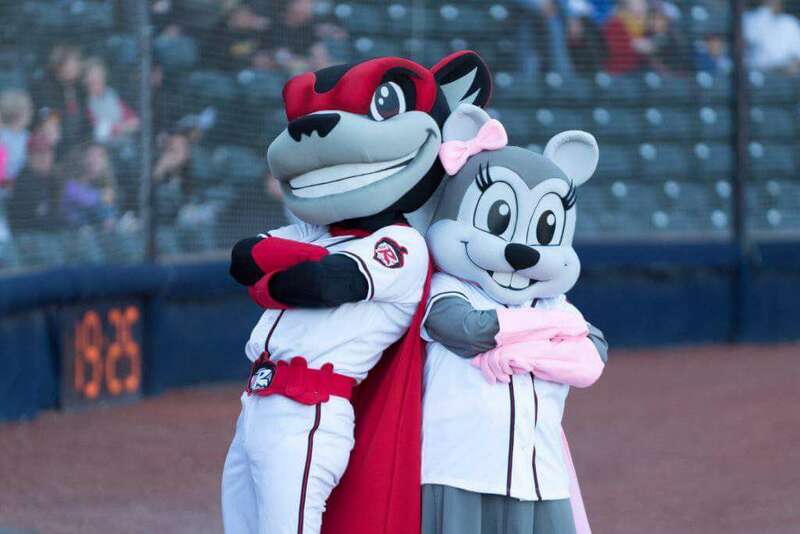 Richmond’s minor league baseball team, the Flying Squirrels, has earned a place in the hearts of kids all over the city thanks to its mascot, Nutzy the Squirrel. Nutzy (joined this year by his new friend Nutasha) features prominently at home games at the Diamond, but there is “nutty” entertainment throughout the game that keeps kids laughing. The Nutzyville Kids Zone offers games and activities for kids by the first base line, and dancing “maids” come out to drag the field after the 6th inning keeping spirits high. Kids under 14 can join the Flying Squirrels Kids Club for free admission to Sunday games, and a chance to play on the field before and after Sunday games. A botanical garden might not be the first thing you think of as an activity for kids, but Lewis Ginter really treats kids well. The Children’s Garden is a favorite for kids, with lots of areas for them to explore and play. There a water garden for a break from summer heat, and cottages for fantasy play. There’s a 100-year old mulberry tree for climbing, and a universally-accessible treehouse. 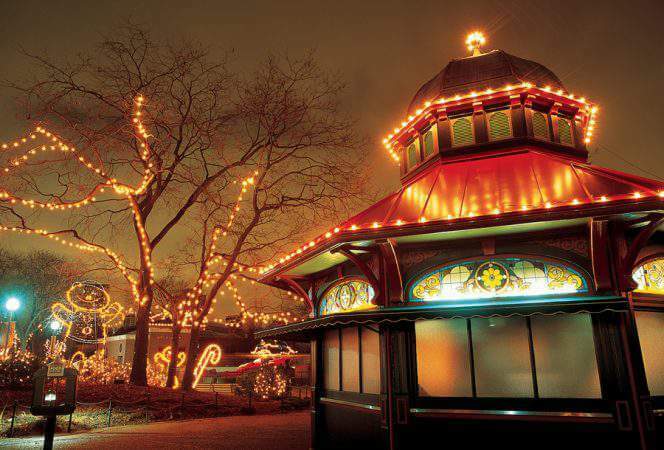 In winter, Lewis Ginter hosts the Dominion GardenFest of Lights, a nightly electric wonder featuring half a million lights throughout the gardens. I’m cheating a little by including three places under this heading, but they are all such fun for kids! At the Science Museum of Virginia kids learn about science through experiments and play in a soaring former train station. And for train lovers, don’t miss the old locomotive on the track out back. Just next door is the Children’s Museum of Richmond, an interactive indoor playground where visitors can act out grown up occupations in a medical tableau, or appear on camera as a news reporter, or work on a car in a service station. 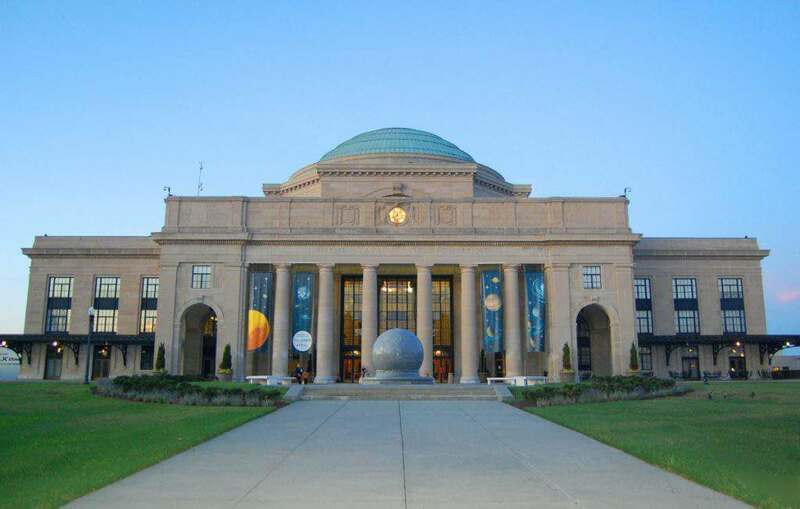 Only a few blocks away on the Boulevard, the Virginia Museum of Fine Arts is a stellar (and free!) arts museum that offers programs for children of all ages nearly every day. Opened in 2016, the ARCpark is a sprawling playground for all ages and all abilities, with sections geared toward younger kids, older kids, and even adults. Most of the park is handicap accessible, and all of it is free and open to the public from dawn to dusk. If you prefer a natural playground, take the kids over to Belle Isle, a small island in the James River accessible by pedestrian bridge from the downtown area, where they can run or bike the wooded trails or hop across the rocks if the river is low. Have you been to Richmond? What’s your favorite family friendly thing to do? Paige Conner Totaro is a freelance writer focusing on food, culture, and family experiential travel. Her website, All Over the Map, began as a travel journal when she took an 11-month trip around the world with her husband and twin daughters, visiting 28 countries along the way. 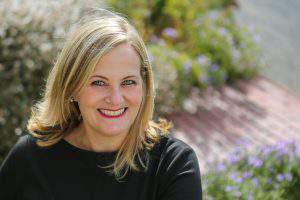 She now helps others plan great vacations as a travel planner at All Over the Map Travel.